I love trying new things so I was really excited about this Hokkaido ZomRamen because the noodles and broth are blue according to the Hong Kong distributor [Booth 1D-A30 by Red Gold HK 獨家食品香港總經銷] at the 2017 HKTDC Food exhibition. 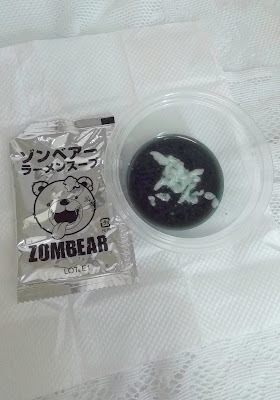 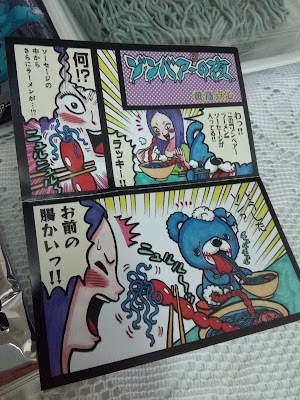 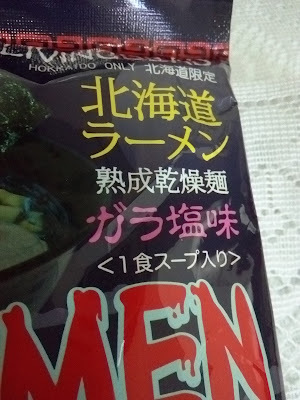 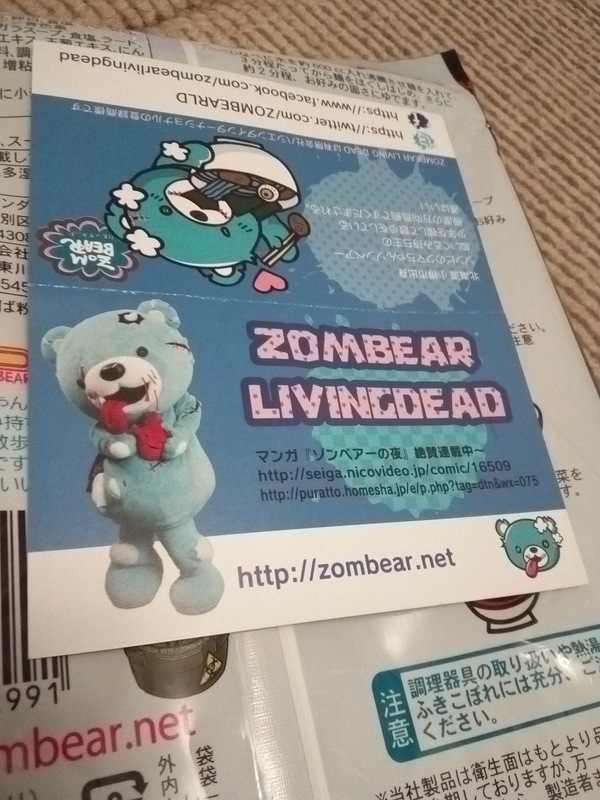 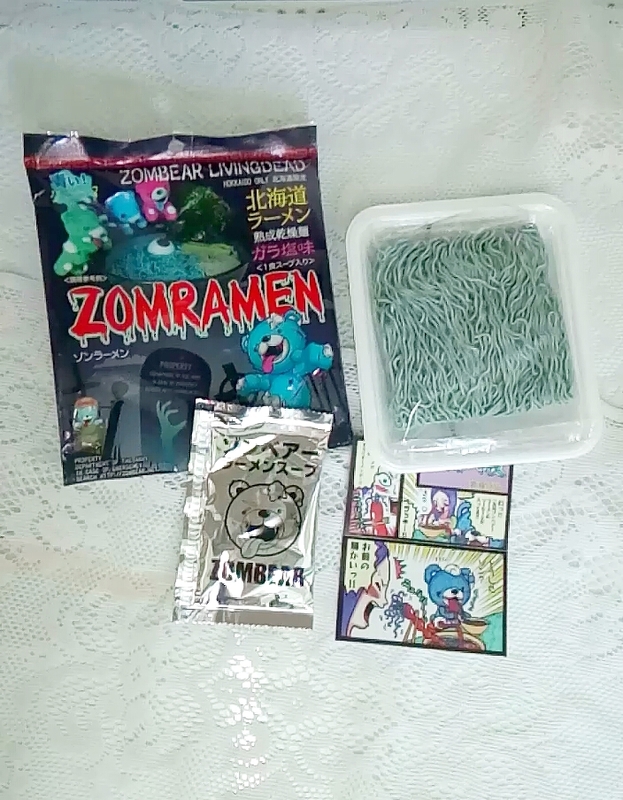 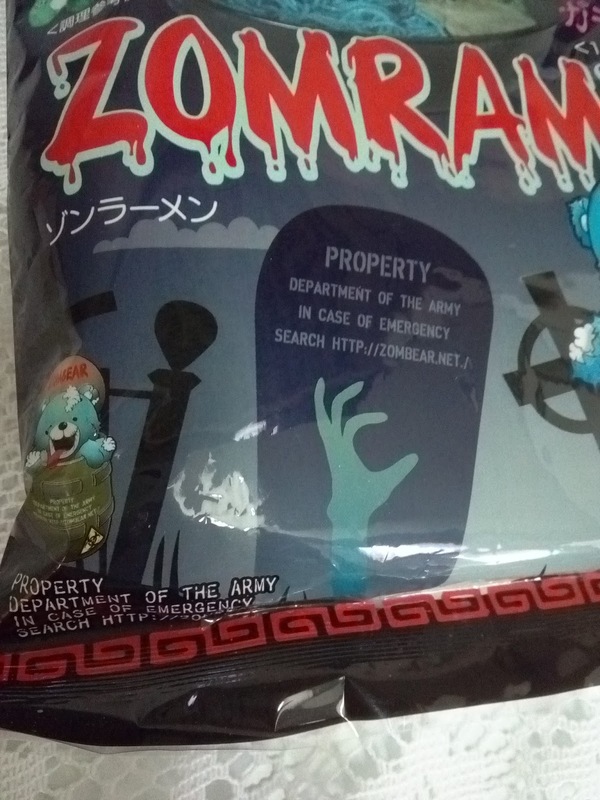 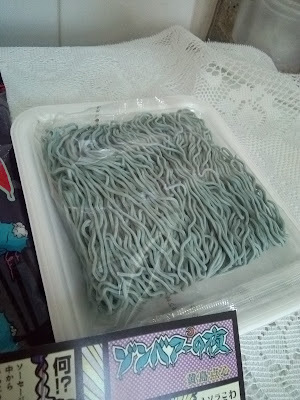 Inside the pack, there is a sachet of liquid sauce, blue noodles and a leaflet. It is interesting that the broth sachet is blue liquid and not the usual powder. 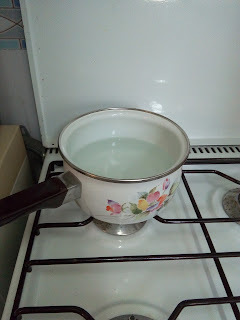 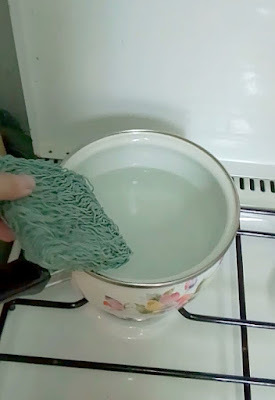 Anyway, to cook, you have to use 600ml of water which I thought was too much at first but then the noodles do absorb the water. 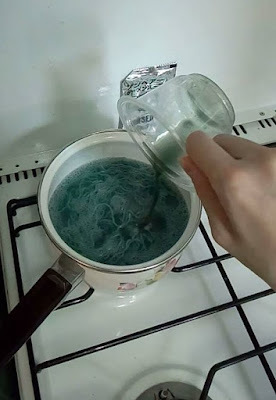 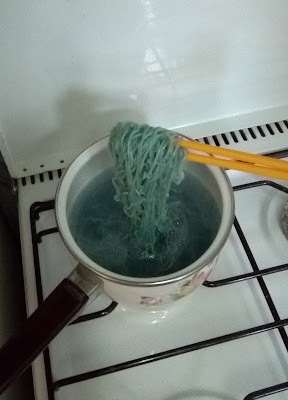 After they become soft, you add the blue concentrated broth liquid which I tried and it was evidently quite strong so it comes out right when added to the water. 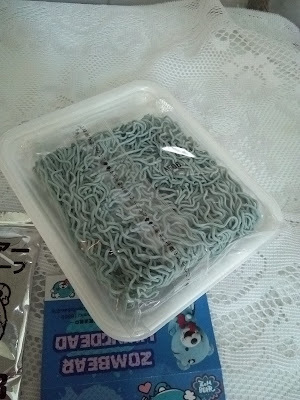 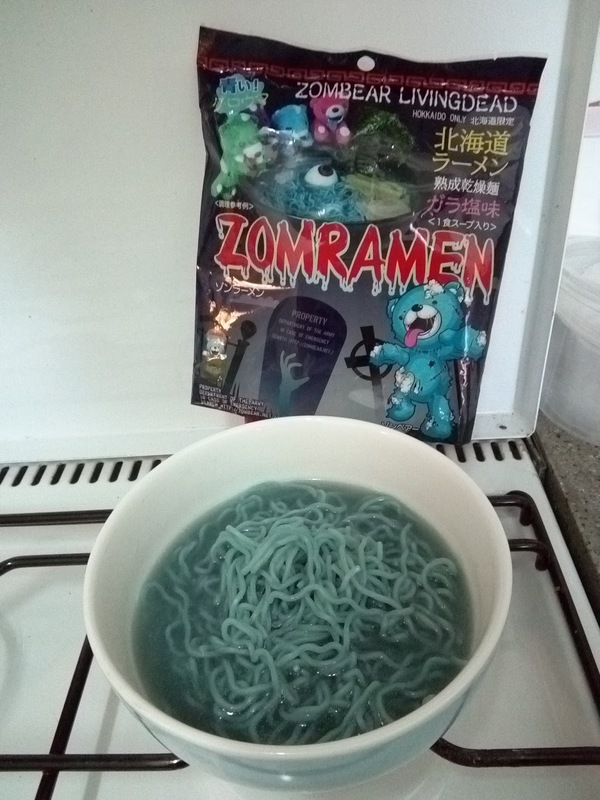 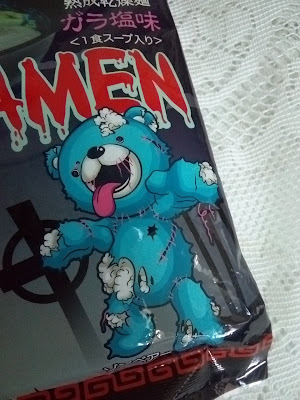 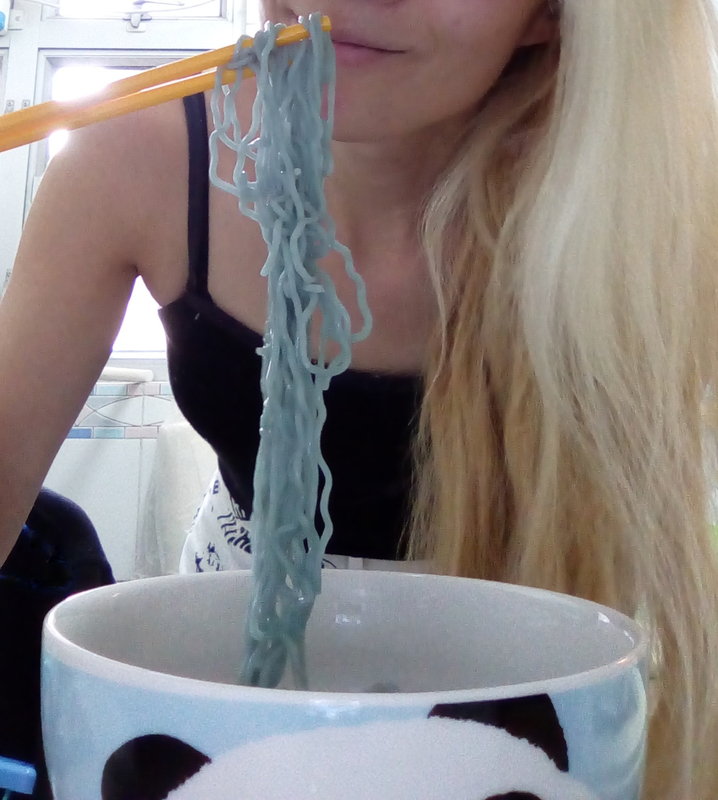 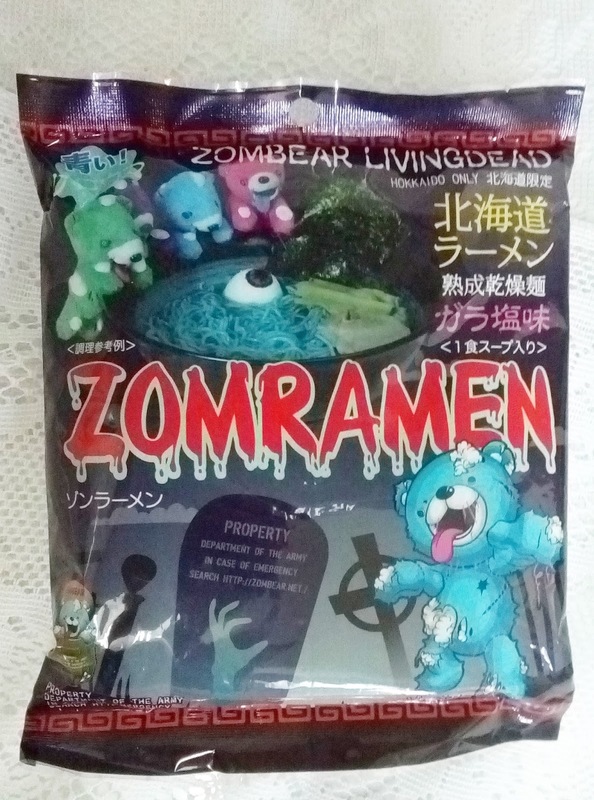 With its unusual blue appearance it actually tastes like any other ramen. 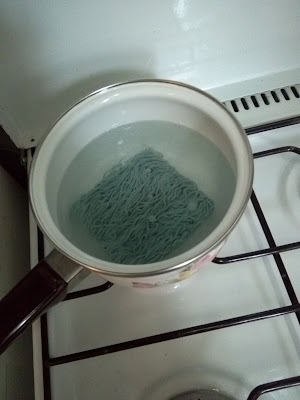 There was a strong alkaline smell when I was cooking it but you can't taste it when you eat it.